Last week I posted an update on my cooking adventures with my daughter (click here to read it) and a lovely lady contacted me asking for the recipe of the Italian Wedding Inspired Soup that was included in that post. 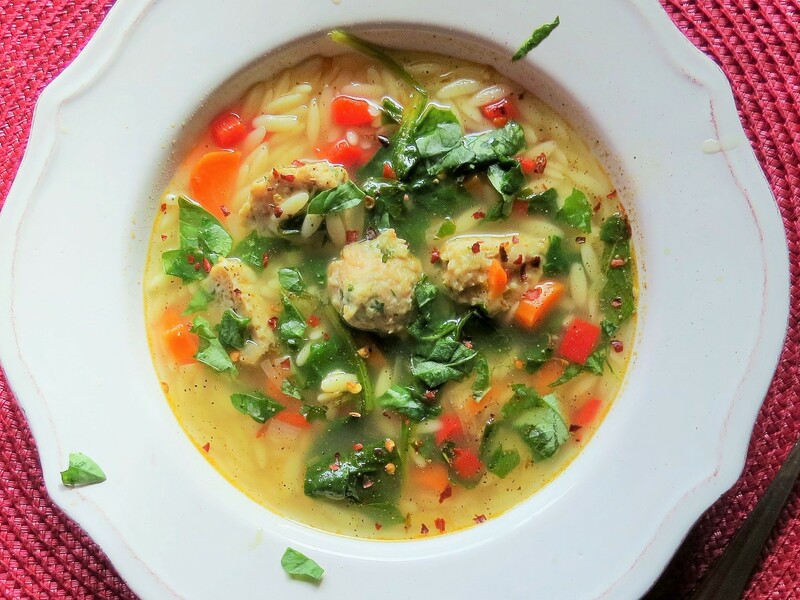 The Italian wedding soup is a nice change from the usual chicken noodle soup and is definitely a lot more filling and probably more nutritious since it incorporates some greens. 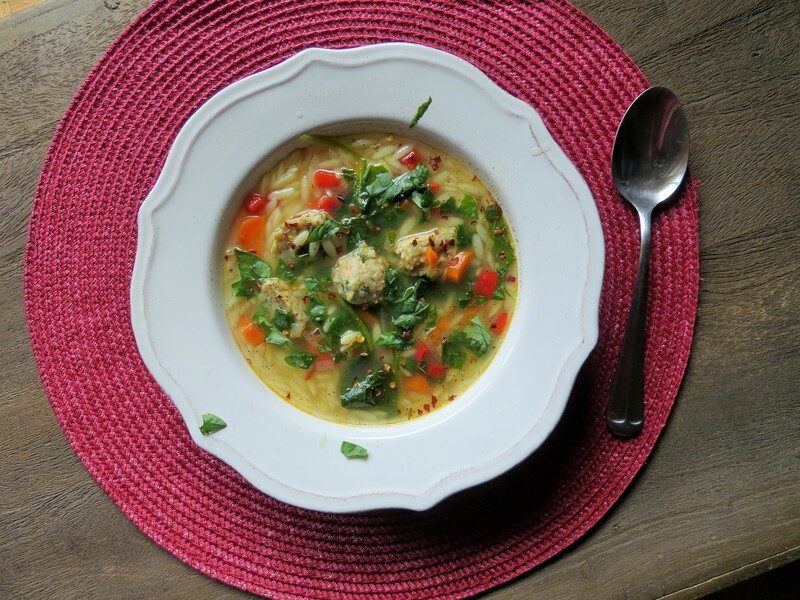 I used homemade chicken broth and homemade meatballs of course, but you can opt to use store-bought organic low-sodium chicken broth if you are short on time. In a stock pot, heat the olive oil. Add the carrots, onions, red pepper, garlic, and red pepper flakes if using. Sautee the ingredients until onion turns soft and golden. Add the chicken broth and bring the contents of the pot to a boil. Turn down the heat and let the contents simmer until the carrots are soft. Add the pasta, meatballs, and spinach leaves. Cook until the spinach leaves are wilted and then turn off the heat. Add the lemon juice, salt, pepper, and basil leaves. Give the soup a quick stir. Top with freshly grated parmesan cheese before serving.